Save the Date for Clean Up Weekend! 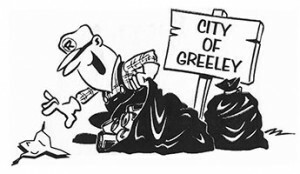 Greeley’s annual Spring Clean-up Weekend allows Greeley residents to dispose of or recycle unwanted items. It’s time for spring cleaning of the basement, garage, and the yard. Bring everything to one of three drop sites designated for household hazardous waste, yard waste, and other debris. No commercial dumping is allowed and all loads of loose materials must be secured with a tarp.